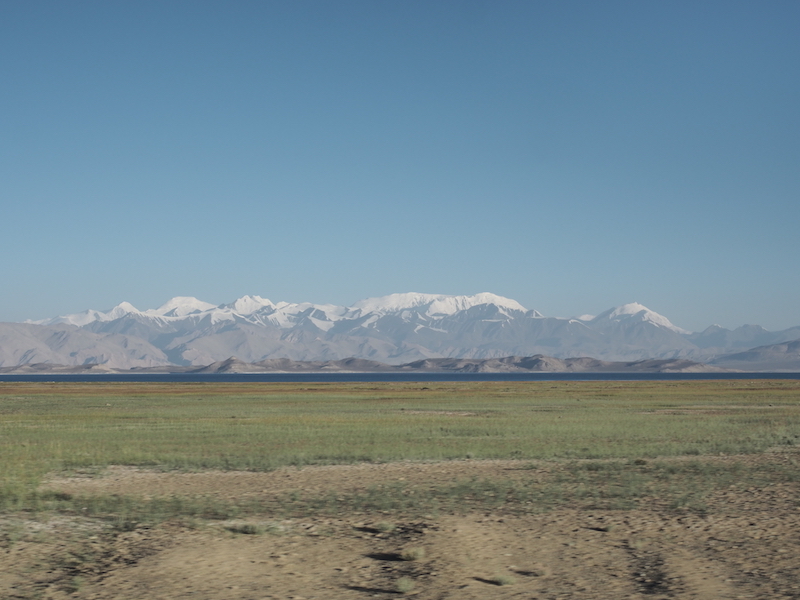 We left the country of Uzbekistan and entered the beautiful country of Tajikistan! 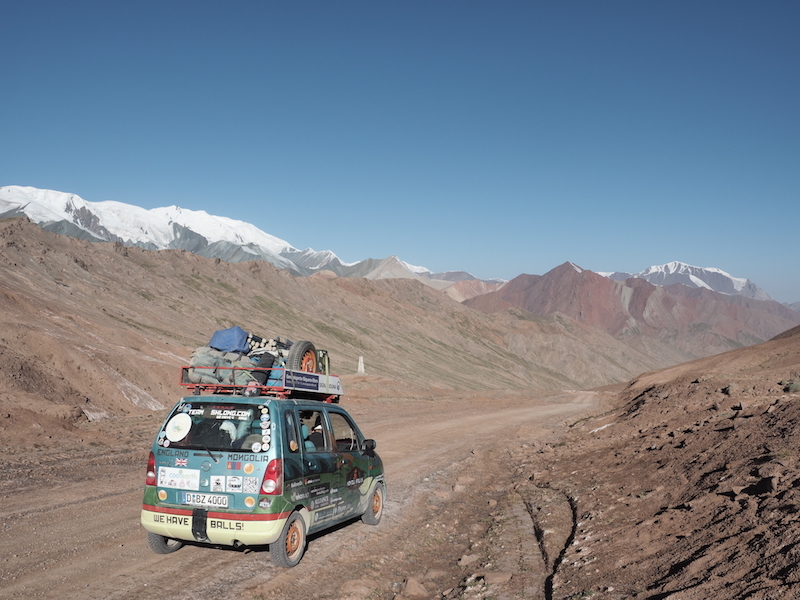 We were immediately greeted by a beautiful mountain pass leading into Dushanbe. 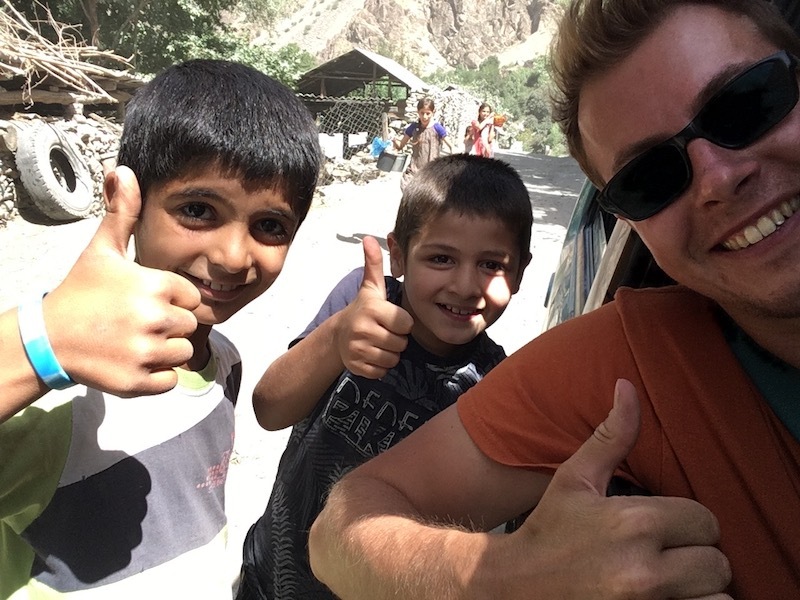 While in Dushanbe we had one main goal! 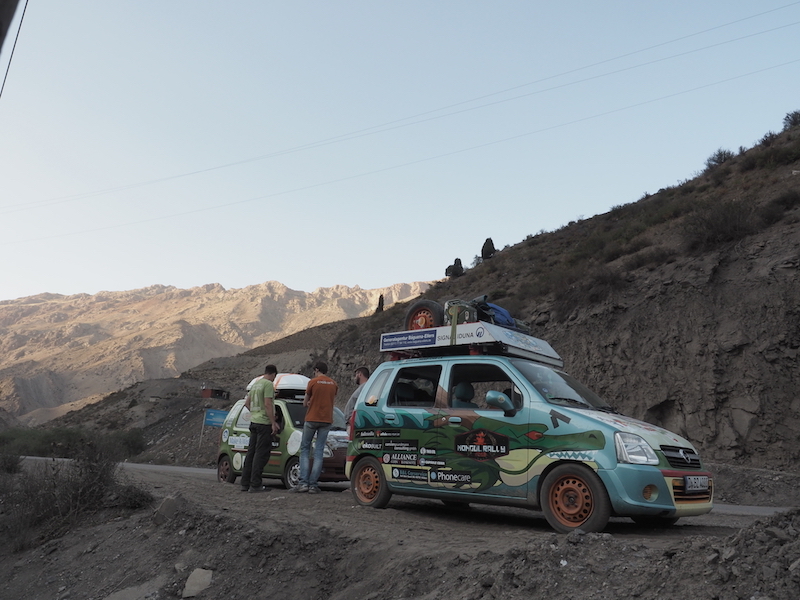 PREP THE CAR FOR THE PAMIR HIGHWAY! 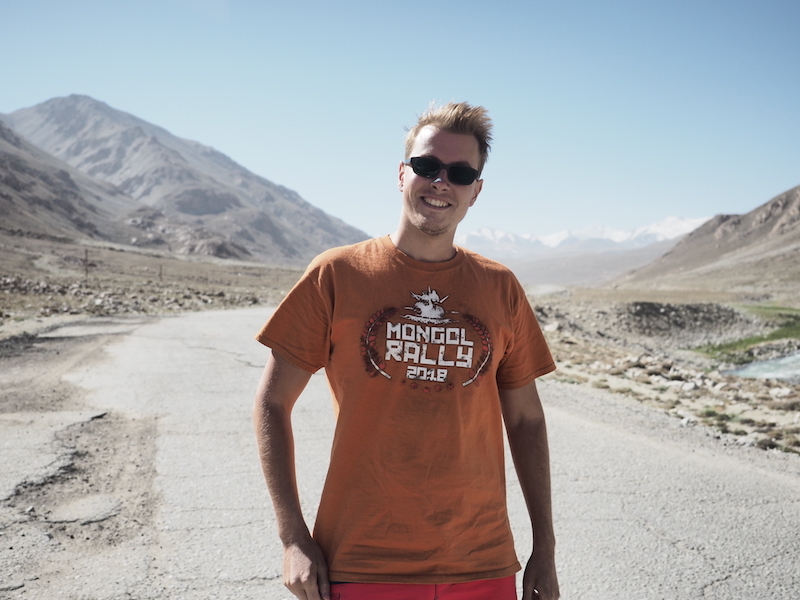 After some research we found out about an English speaking mechanic very close to our hostel. 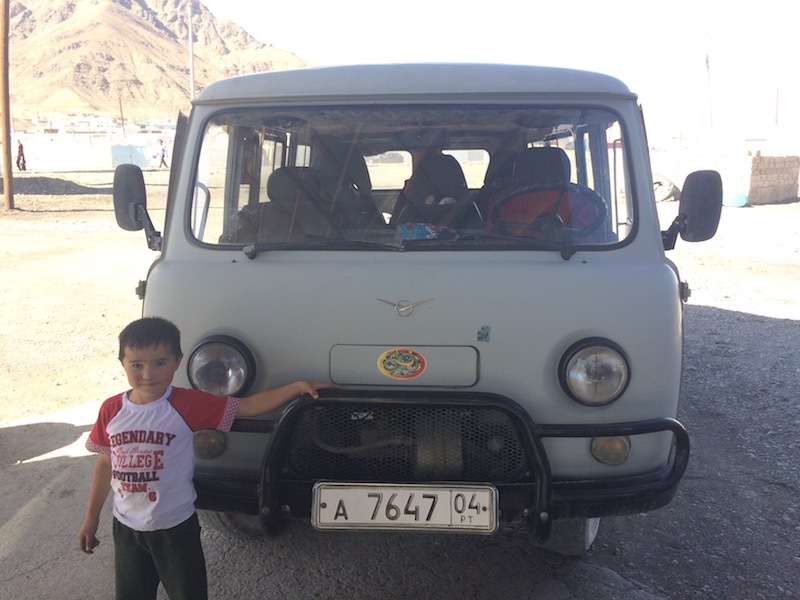 We talked with the mechanic and told him our goal with the pamir highway. 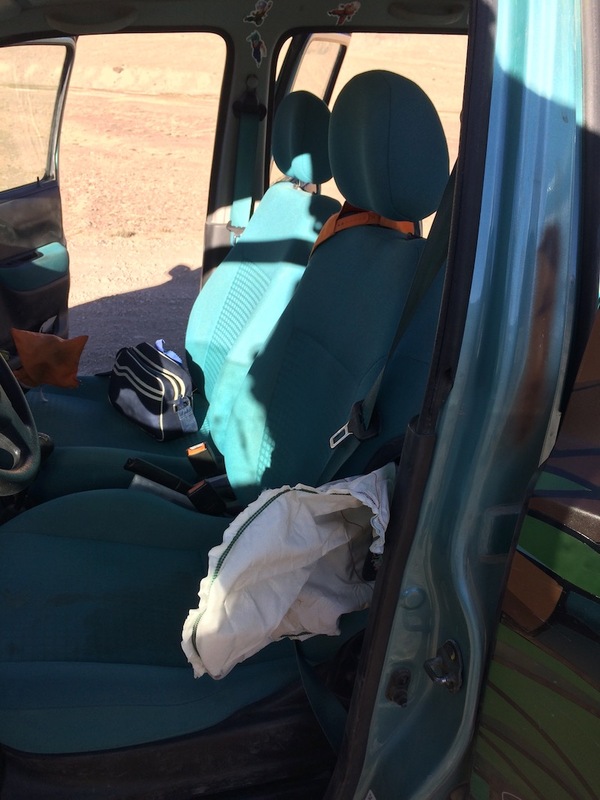 We asked for a full inspection of the car and some new suspension in the rear. Upon the inspection he found our axle seal was leaking, but besides that Bulma was actually looking quite good! The last time I talked with him was at midnight when he showed us some new shocks and some bmw rear springs he was customizing to fit in our cars. 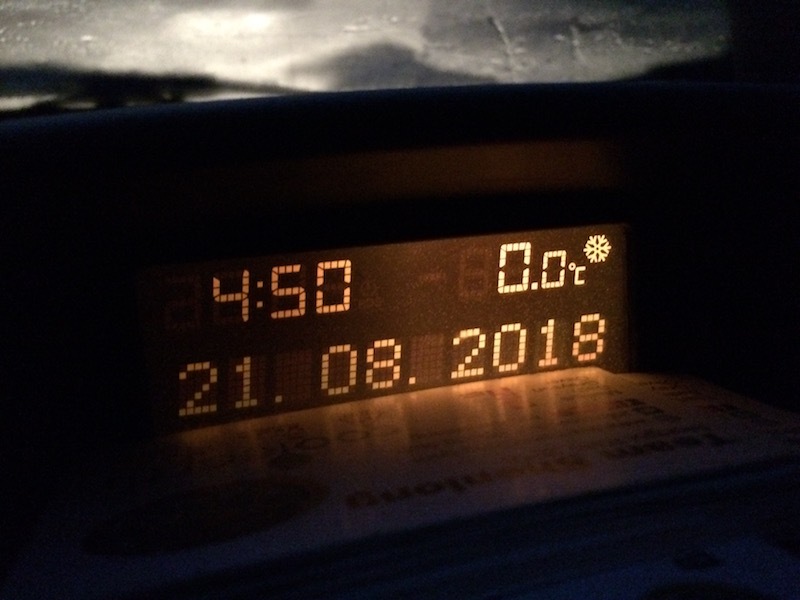 At 8am we woke up and went to see our car and they had just finished it! 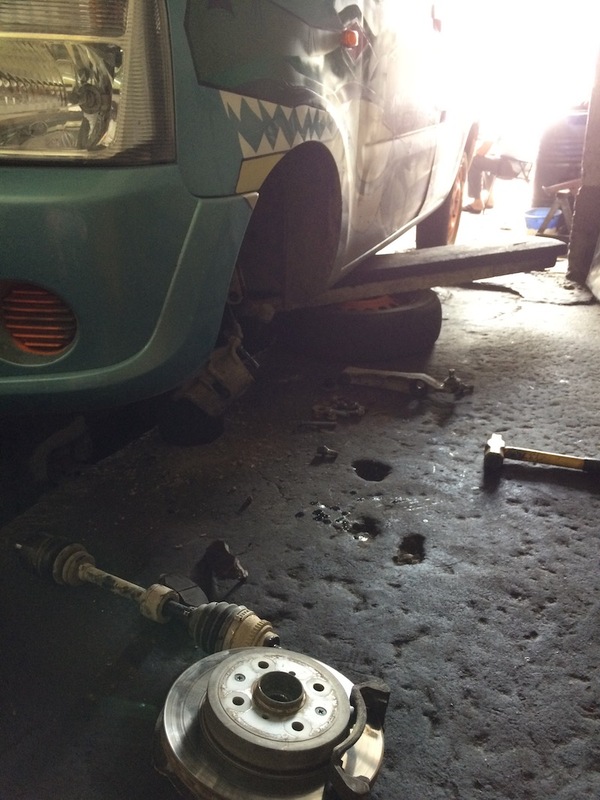 They installed new rear springs, shocks, axle seal and even completed an oil change and wheel alignment for us! The rear of the car now has a great lifted stance! 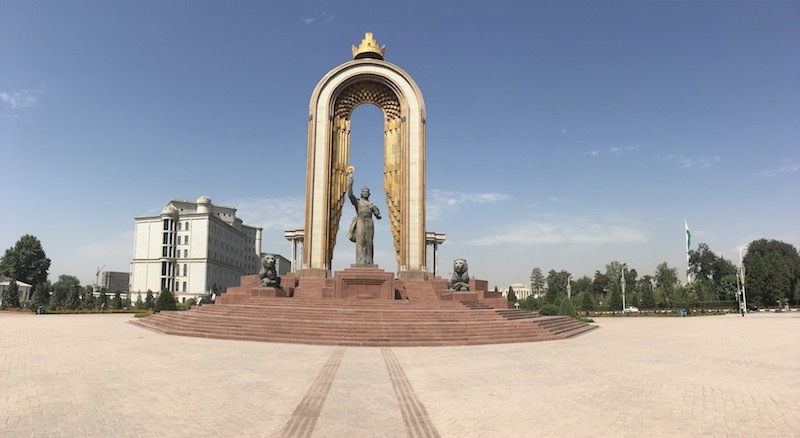 Dushanbe is a beautiful city with lots of great architecture! 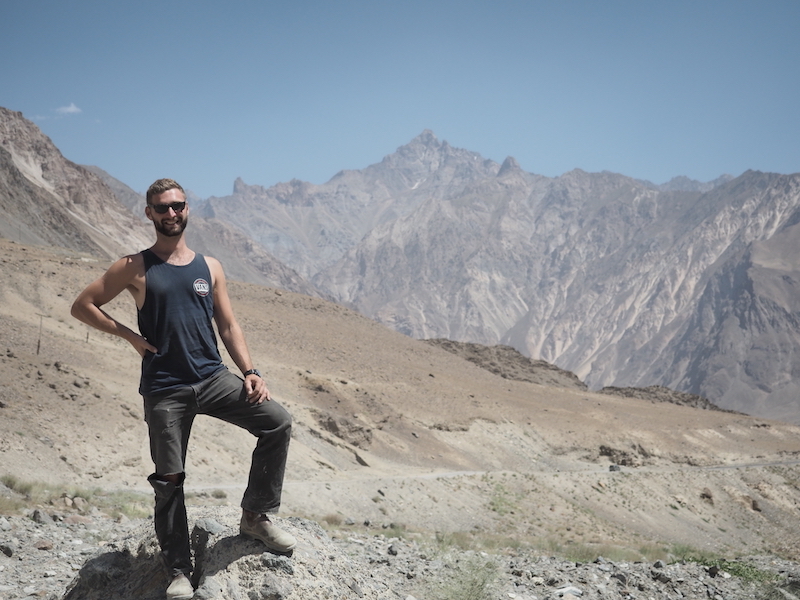 We made our way to the pamir highway and were greeted with some of the most amazing mountain views I had ever seen! 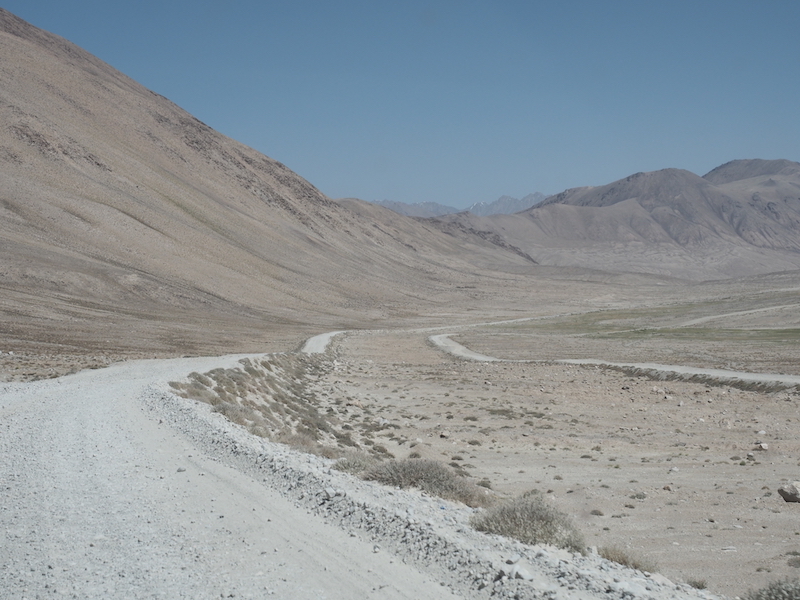 To the right is Afghanistan on the left Tajikistan. 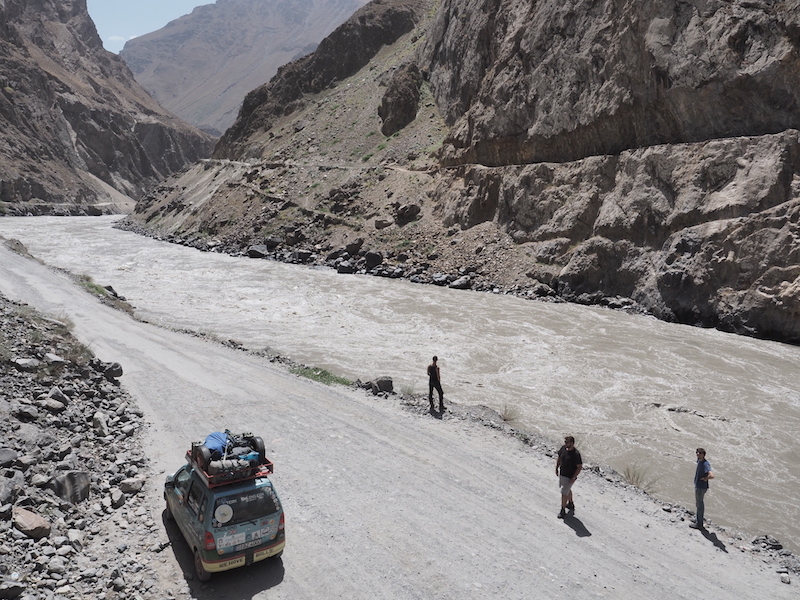 More beautiful drives along the river border with Afghanistan. 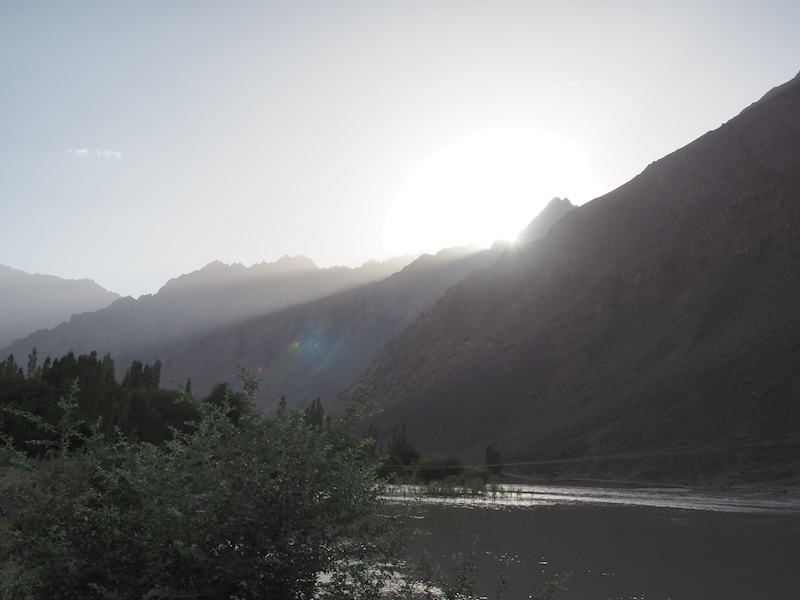 Plan was to swim illegal over the Border to Afghanistan but in the end the current was too strong. Driving through all the small towns along the highway children would chase our car and wave always wanting photos and stickers! We set up camp just before the real high altitude climbing started! Early the next morning we started pushing higher and higher into the mountains. I have never felt such isolation before in my life. 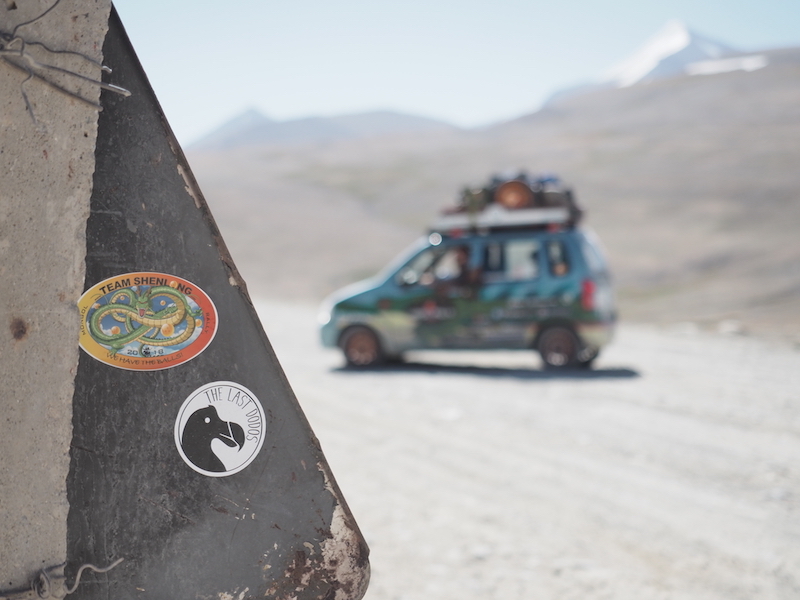 We finally reached around 4300 meters and thats when the altitude sickness started..
Quite possibly the highest mongol rally sticker in the world! 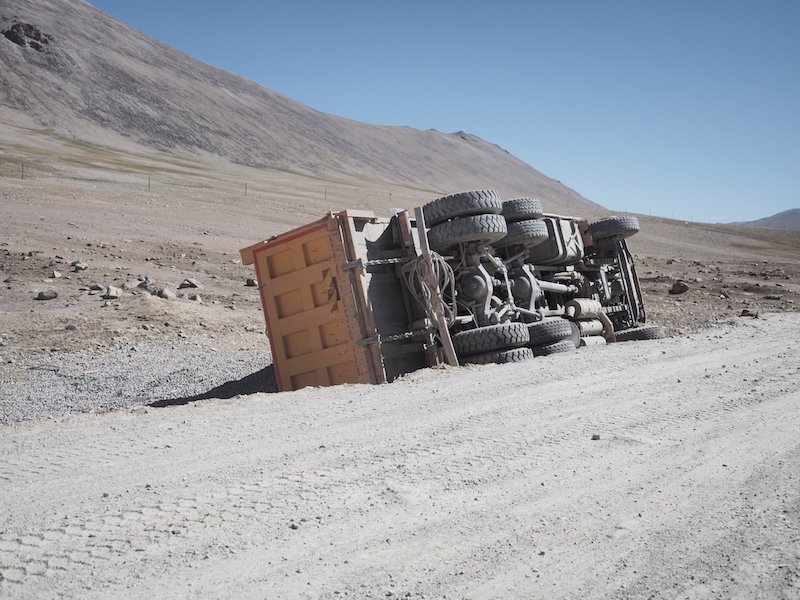 Not everyone makes it off the Pamirs safely. i wish I could have enjoyed this view more, but at the time my head was pounding and I was feeling extremely sick. 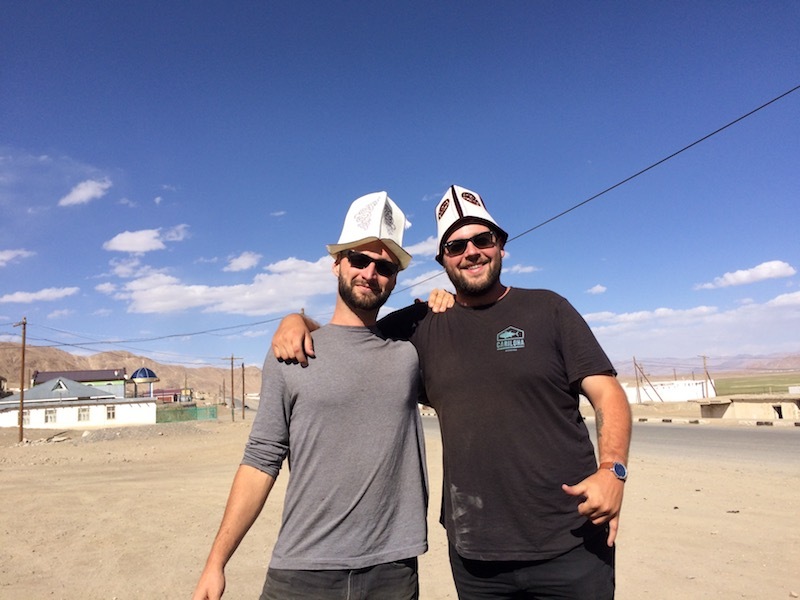 Whilst stopping for fuel and lunch in a small town at 4000 meters Seth and Grayson found some new hats! This town has no power during the day so the fuel pumps only work at night when the generators are turned on! 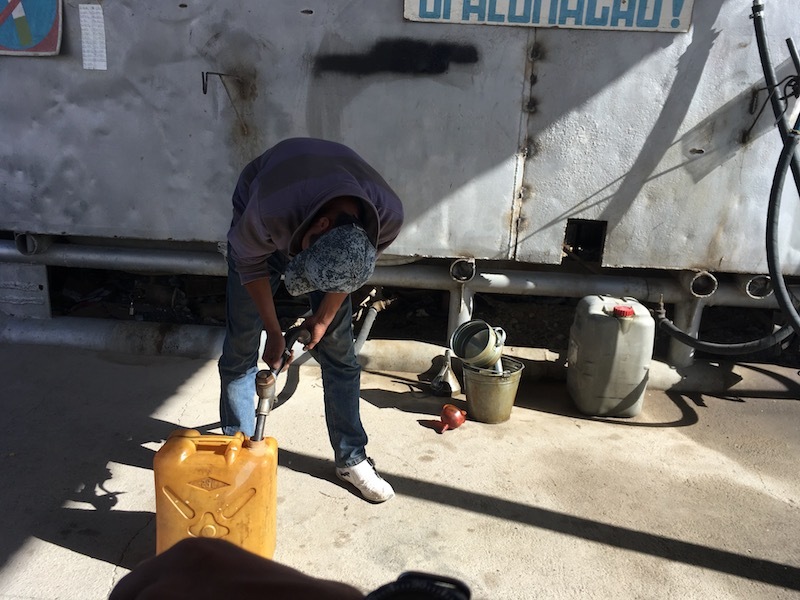 So in the daytime they measure out the fuel in cans from the main tanks and then pour it into your tanks with a jerry can. 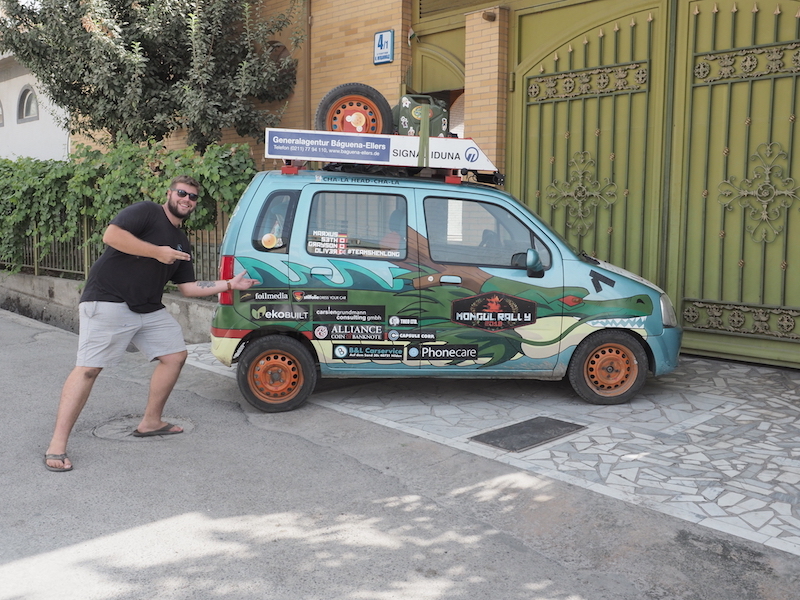 We met some locals who wanted some team shenlong stickers! 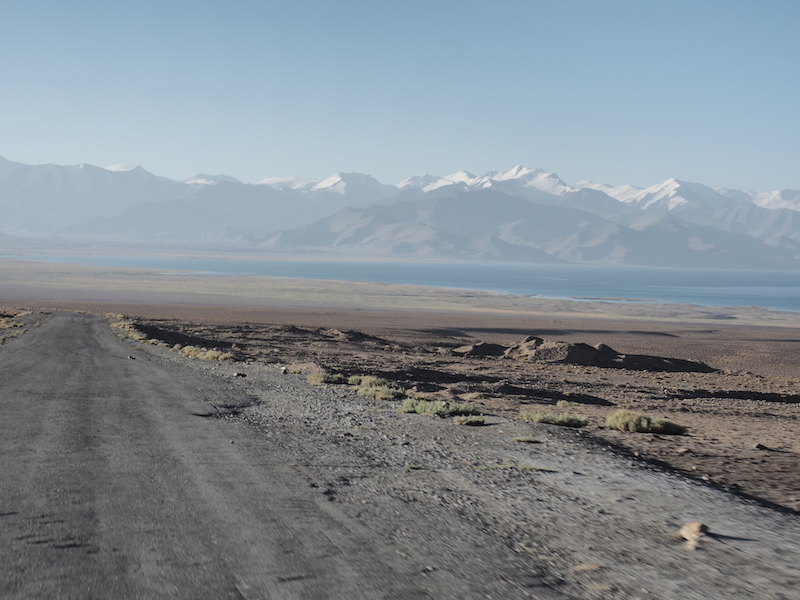 Our last night on the pamir we camped at 4300 meters… it was the worst night of the whole trip. 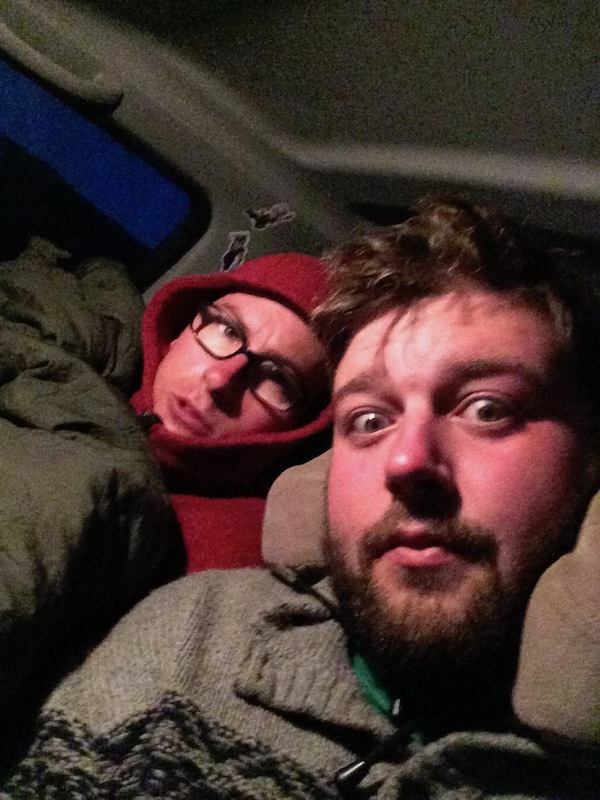 We were fighting altitude sickness all night unable to sleep and to top it off it dropped below freezing! 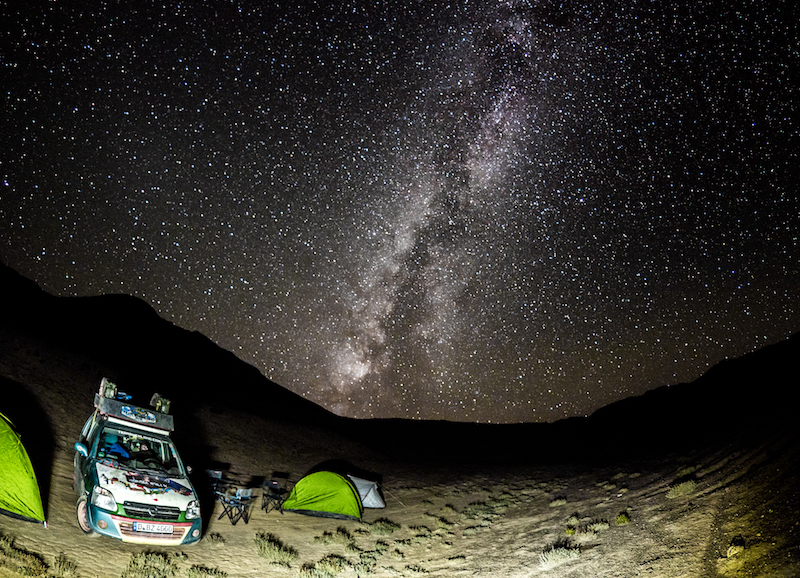 The one thing that made up for it was the night sky… I had never seen anything like it in my life. The stars and the Milky Way looked so close and clear. It ave me goose bumps just looking at it. At 530am we started pushing for the border. 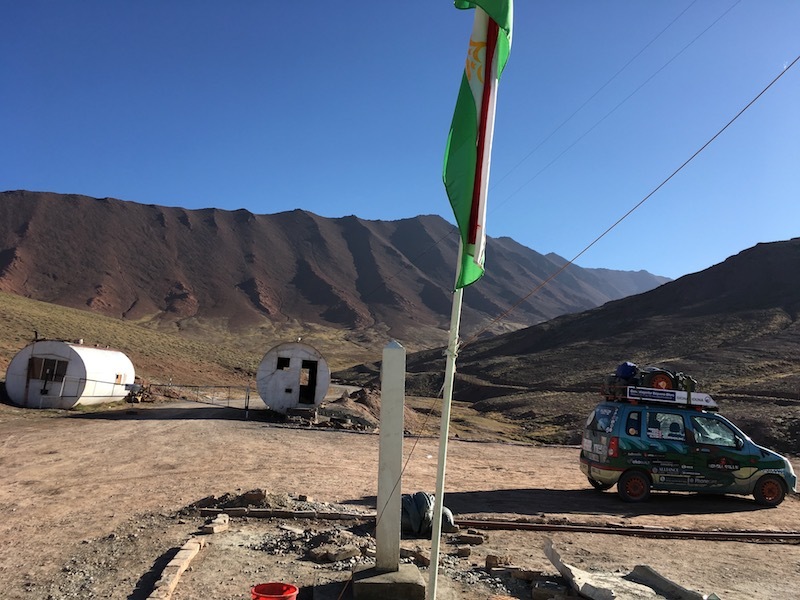 Nobody slept well and we all felt very ill.
On the way to the border we went over some very washed out gravel roads when a huge bang went off in the car. My leg instantly started burning it felt as if someone just slapped it with a wooden spoon! 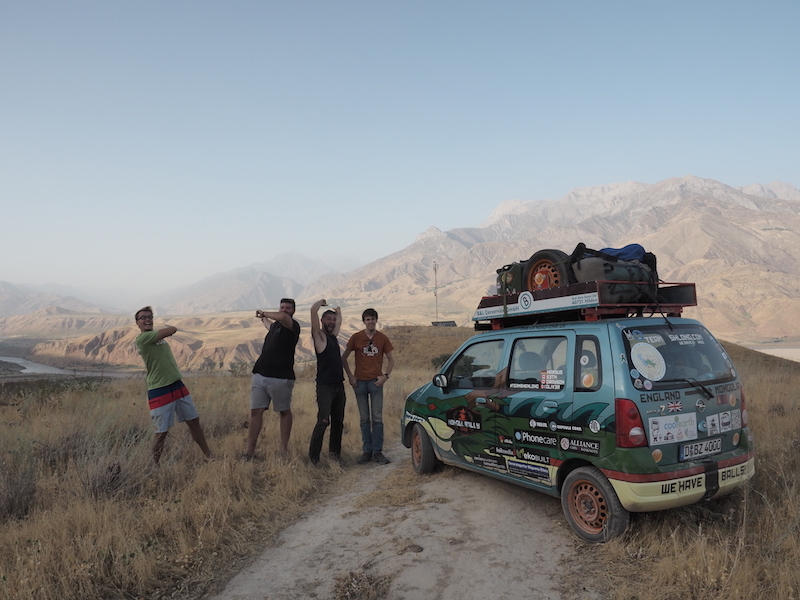 We finally reached the Tajikistan/kyrgyzstan border. It was a lot smaller then what we expected. A tiny house and gate with a few guards sitting by a fire inside the house. We had to take our shoes off in order to give our paperwork to the guards. 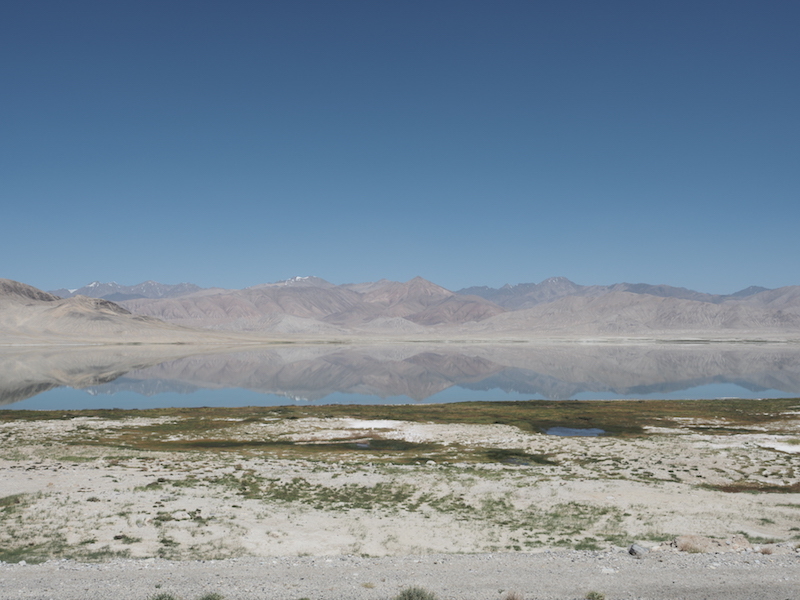 We were surprised to find a huge no mans land between the two countries! 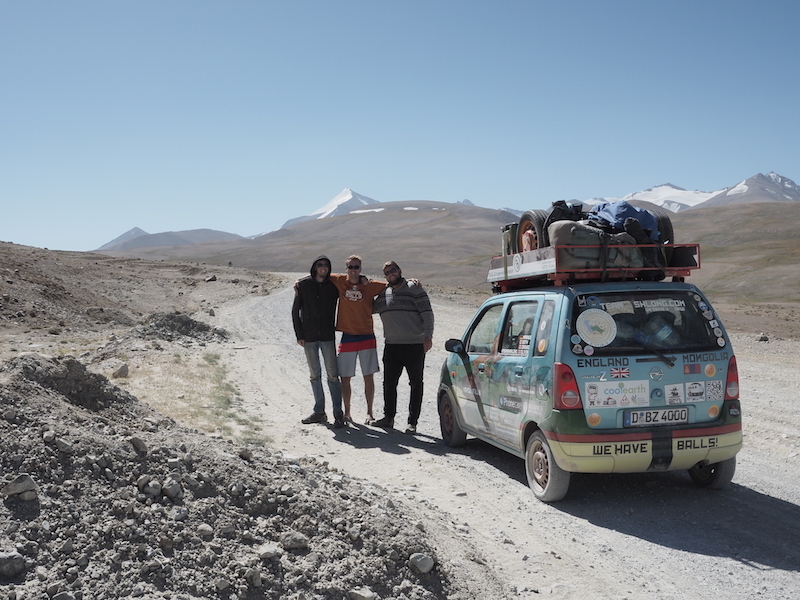 Over 30km of nothing but terrible roads and beautiful mountains. I would love to experience that sky!